I’m sure we all have been locked out of our car a time or two in our lifetimes. It’s frustrating but know that there is always a solution. A professional locksmith can get you back into your car in no time flat. Below, an automotive locksmith shows us how they are able to safely get you back into your car and back on your way. 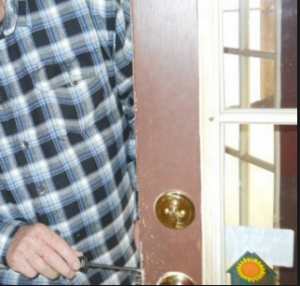 The locks on your doors are probably the most important element of your home or office’s security. If you cannot properly maintain and ensure the integrity of your door locks, you cannot hope to truly keep unauthorized visitors from your home. Most security professionals will encourage you to change your locks on a relatively regular basis; this is especially true if unexpected circumstances such as the loss of your keys or a breach of security occurs. However, it has become increasingly common for homeowners to rekey their door locks; while situations will occur eventually necessitating the replacement of one’s locks, lock rekeying is fast becoming the most popular means of ensuring the security of a home, and not just because of its relatively inexpensive nature. The term basically refers to changing the tumblers in the cinder of a lock to prevent an older key or set of keys from working. With rekeying, you are recoding preexisting door locks to enable them to accept a new set of keys. Complex as it might sound rekeying is a very straightforward process, a simple matter of replacing the lock pins in the cylinder, changing the tumbler configuration and then cutting a new set of keys to open this newly configured lock. It is important to remember the fact that, once you rekey your door lock, its old set of keys will not work. +The Importance of Getting your Door Locks Rekeyed? Why rekey your locks? This is a question you might be asking as a home owner. Is there any real purpose in changing the configuration of your door lock’s tumbler? 1) The most common driving factor for rekeying door locks is the loss of one’s keys. When you lose the keys to your door locks, it is only natural to either change your locks or rekey them. This is the only way to ensure that those who find your keys do not use the opportunity to access your home. Most locksmiths would encourage you to rekey your door locks even if you lose and then find your keys. So long as you are unable to account for the whereabouts of your keys for any notable amount of time, there is no telling what other nefarious minds might have done with them. If you think that there is even a remote possibility of unknown parties having made copies of your keys, you are encouraged to rekey your door locks. 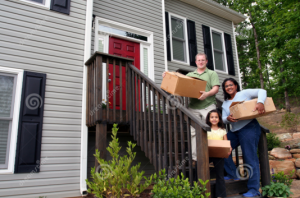 2) When you move into a new home, it is only rational to rekey the locks of your doors. So long as you are not the first person to live in your new home, the only way to ensure your security is to either change or rekey your locks. It would be folly to trust the former occupants of the property or even your landlord to not misuse any access they might have to your new home. Whenever to move, you are encouraged to make sure that only you and those you trust have the keys to your door locks. 3) You must rekey your door locks anytime someone moves out of your house. 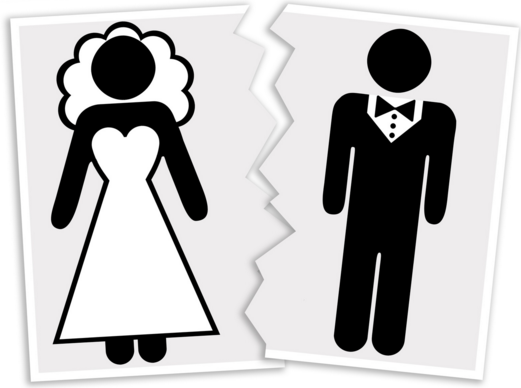 Whether it is a roommate moving on to bigger things or a marriage partner with whom you have separated, it is imperative that you rekey your door locks every time someone with prior access to your home leaves. The bottom-line is this: your door locks are your most important line of defense against invasion. So long as you do not think you can trust all the people that have keys to your locks, you are encouraged to rekey your locks, if only to ensure that only those individual who have been authorized by you can access your property. Most locksmiths you meet will encourage you to rekey your door locks because they have a vested interest in convincing you to rekey your locks, you cannot be faulted for approaching this advise with some suspicion. 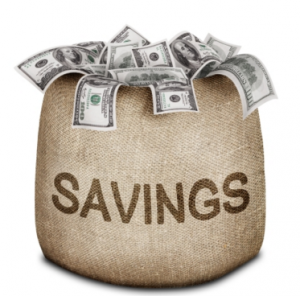 -Rekeying is very cost-effective, especially when you compare it to total lock replacement. You are going to save a lot of money by rekeying your locks instead of changing them, especially if you are dealing with multiple locks. -Rekeying is faster than lock replacement. In fact, it takes half as much time to rekey door locks as it does to replace them completely; and if you are dealing with multiple doors, you are going to appreciate the expediency of rekeying. -Rekeying is a far more secure process than lock replacement. Think about; rekeying allows you to control the distribution of the newly cut keys to your newly rekeyed lock. In other words, you can limit access to your home with greater accuracy. -Rekeying is convenient. You do not have to carry multiple keys to open multiple locks. With rekeying, you can use a single key to open all the locks in your home or office, this adding a level of convenience to your daily activities. There are a number of options you can pursue to rekey your locks, with your method of choice depending on factors like cost, time and the number of door locks involved. The easiest method of getting your locks rekeyed is to hire a professional locksmith. Certified locksmiths might be costly, but you are guaranteed quality results, especially if you are dealing with complex locks. However, if you can remove the locks from your doors and transport them to a hardware store, they should be able to perform the rekeying process for a small fee. With the necessary skills, you could just as easily rekey your locks by yourself. There are various rekeying kits on the market that could prove useful in your endeavors, though you are discouraged against undertaking this task unless you are completely confident in your skills. It is worth keeping in mind the fact that lock replacement is sometimes unavoidable. Old locks for instance, must be replaced no matter the costs you have to incur. No amount of rekeying will improve the integrity of locks that are either too old or too damaged to keep your doors secure. For the most part, though, rekeying is a very effective means of ensuring the security of your home or office; inexpensive, straightforward and not as time consuming as lock replacement. 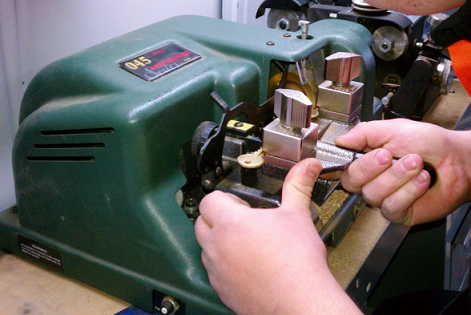 Call Denver Locksmith Pros today for rekeying services! When you’ve lost your key there few options available to you. Generally speaking, you will usually try to find your lost car keys at all costs. When you see that your keys are lost for good, then you start to see the frustration involved. Here are some various options that you might have available to you when you lose your keys,. 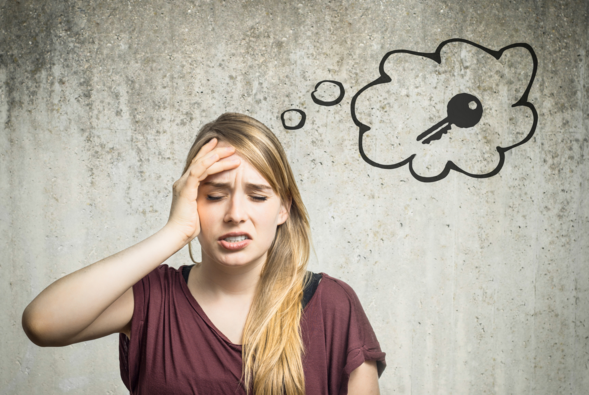 What the majority of people like to do when they lose their car keys is to contact a locksmith. Locksmith experts can help you with your lost keys in a number of different ways, and do so without charging nearly as much as the car dealerships usually do. Locksmiths can easily cut new keys, spare keys, new transponder keys and all other various types of lock work that involves lost car keys. While some locksmiths can work on virtually any kind of lock and key, there are those that are not capable of working on the more modern types of keys. These keys include what is called transponder keys, and they are run via radio transmission. Every key has a specific code that will start a given vehicle, and the car can not be started any other way. For this reason, locksmiths that have the equipment and ability to work with advanced keys are in high demand. The next time you find yourself with lost keys, make sure that you consider what is written above. Once you find one that is reasonable and has the expertise to work with your vehicle, then you should program the number into your phone and place business cards in logical places. This will ensure that you are not caught away from help at any time. Also, make sure your locksmith is available in the areas that you normally are located. Numerous decline to call a locksmith service provider as they attempt to take care of their own lock issues independent from anyone else. While this might at times work, untrained people essentially can’t manage the services offered by professional locksmiths. 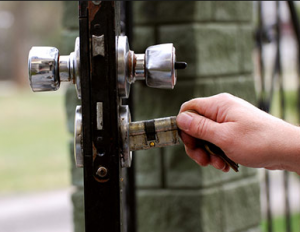 Actually, taking care of a lock emergency all alone can have tragic results.Damaged doors, demolished furniture, and even physical damage might result because of not utilizing a locksmith service provider. Then again, professional locksmith service permits the fast answer for any lock issue. With the assistance of a specialist, opening your entryways, changing your locks, or copying your keys . It is ensured that there will be no time wasted and unquestionably no doors broken. A guarantee that just a locksmith service can give is the ensured answer for whatever lock issue you might have. As specified, the employment is done via prepared professionals who are all around arranged to pick a lock or copy a key. Due to their broad experience, locksmiths from perceived service suppliers can convey you total answers for all your lock issues. Tragic occasions can transpire at whatever time and anyplace. You can lose your car keys in the middle of nowhere or overlook your folder case key amid a critical away meeting. In both circumstances and other comparable cases, a locksmith service provider can offer you some assistance with getting out of the tie. Most providers are accessible for service paying little heed to your area, and you should do nothing more than call and sit for a locksmith to go to your place. Locksmiths can likewise be summoned at whatever time. Notwithstanding any occasions or in the middle of the night, you can expect a locksmith service provider to take care of your prompt bolt or key needs. Locksmith services can be diverse, as they offer various types of services relying upon a client’s needs. For all intents and purposes each kind of lock issue can be understood through calling a locksmith service provider. In the event that you lose or break every one of your keys, a provider can pick your lock. They can likewise open your car trunk, begin your car, or open your satchel in the case of a lost key. Another service offered is the substitution of lost keys, which you can profit in case you pick not to change your locks. Most providers can supplant any sort of key, so that is a bonus. Locksmiths are also skilled at cutting keys. Taking advantage of this and getting extra copies of your car keys, both door and ignition, alternately keeping an extra entryway key outside and an extra ignition key inside. Keeping an additional ignition key inside the car will empower you to really utilize the car if you lose your keys and need a locksmith to let you inside. Before choosing a Locksmith, it is best to find out all pertinent information via research and make sure they are genuine and offer the best quality service. There is no point paying high fee to locksmiths who do not know their job well.Finding a locksmith is as simple as going online and looking at one of the numerous review-based websites available. These sites enable you to look through honest, unbiased reviews of local locksmiths and choose one that seems to fit your situation. Leaving these hard-working locksmiths positive feedback after service ensures that others will be able to find them should they ever need a lock opened, or a new key. Hiring a locksmith who has liability insurance may also benefit you, since it will cover any unwanted costs from damage to your property during locksmith work. 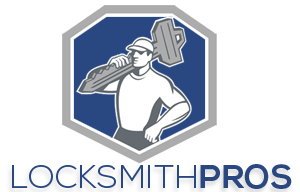 Ask the locksmith for a quote of all work and replacement parts needed before the locksmithing begins. In a small sheet of paper that you may hide in your wallet or purse, list a number of locksmiths along with their names, addresses and phone numbers. Locksmith are more advantageous than other solutions available, so its better you choose the locksmith services like Denver Locksmith Pros for car key replacement. A locked door is the first defense against any intruders and other unwanted visitors to your home or business. That lock is all that always stands between your family and your personal safety and even all the possessions your keep in your business or home. Occasions may occur when it is necessary to change each lock in your home in order to maintain the high level of security. For one reason or another, several people are faced with the high need to change out locks to their place of business or homes at some point in time. For some, this may seem like a big hassle or inconvenience. For those who have taken enough time to anticipate and seek out a reputable Locksmith service like Denver Locksmith Pros to replace your locks, this will not be a big deal at all. It is always a bright idea to plan for the future and also expect the unexpected. 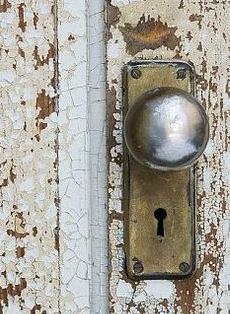 Rusted or worn-out locks are a severe weakness in your home security. Old, worn-out locks are the easiest to pick and also break, and they are even harder to open it legitimately with the right key as the time goes on. If your current door lock has an intense rust, tarnish or any other visible signs of wear and tear, it may be actual time to prepare to replace your lock. If your lock is becoming increasingly hard to open using a legitimate key, especially during cold nights, you have to replace or even service your lock immediately to prevent an inconvenient malfunction which may actually leave you simply locked out. 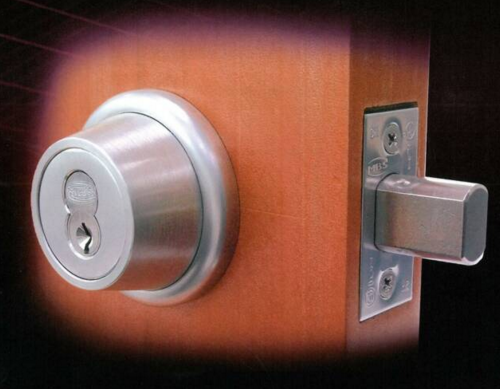 For maximum security in your business or home, you should replace your locks in case your keys are stolen or lost. Determine which keys of your home you have lost, and immediately replace the current locks in the order of security priority. Outdoor locks that would give any intruder entry to your home should be replaced as soon as possible. After your crucial outdoor area is safe and secured, you may need to replace the inner locks in depending on your own security priorities. If you often lose your lock keys, you might heavily benefit from a combination door lock like SmartCode. All combination door locks can be easily opened by just inputting a particular code into the door lock. Many combination locks have another keyed lock for backup if the combination input fails, or to gain access if the smart code is lost. You must change the combination lock whenever you may feel that its entry may have been tampered, similar to how you would have replaced keyed locks in case you had lost your keys. If you often rent out some space in your home, you should protect yourself by only replacing locks any time you change tenants. You will have peace of mind knowing clearly that your current locks are protected and secure, and you will not have to suspect your previous tenants in case of a break-in. Even if the former tenant did turn in their lock key, you cannot be sure if they did not produce a backup copy. In fact, they may not even remember having provided one copy of the key to a friend or a neighbor previously. Moving to a new business location or home is a very exciting time, but do not let your feeling of joy distract you from one of the most crucial matters at hand-changing out the locks. Even though previous property owners are required to turn in their keys at the time of the transfer, there is no way to be sure that they are not still hanging onto a spare which could be used to gain illegal access to your space. The right course of action is to replace or re-key the locks so that only you and other authorized persons can enter the premises. If you have to replace your locks, ensure that the job is completed by a professional locksmith. Regardless of the reason you require to replace or even re-key your locks, it is very paramount that you can trust in the fact that the job will be done accurately and quickly. By seeking out professional Locksmithing service in advance, you can enjoy the peace of mind that your new locks will function appropriately and keep your property safe and secure.